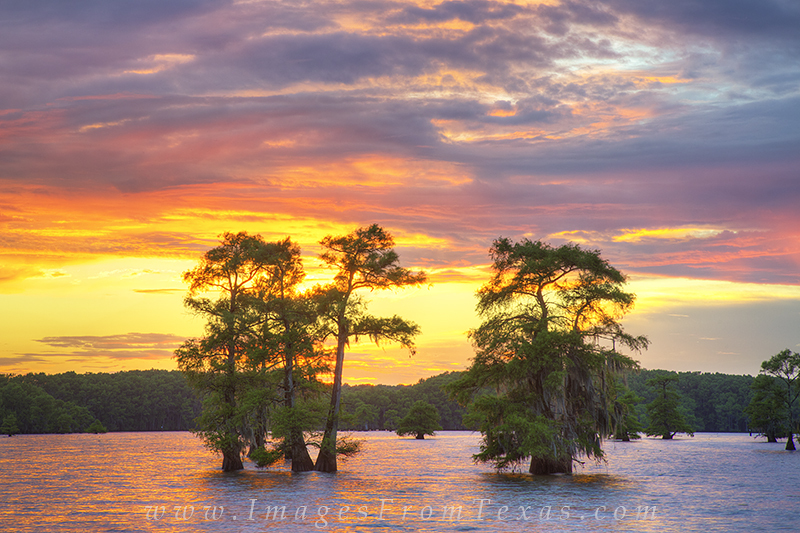 The sky lit up in a blaze of east Texas glory over Caddo Lake this June evening. The cypress trees caugth the last light of day as a calm settled across this swamp that harbors the largest cypress forest in the world. I often hope for moments like this when I'm out working my craft, but rarely do the elements of nature come together at just the right time. This particular evening was a pleasure to experience. Photo © copyright by Rob Greebon.